For their second win in a row, and third win in their last four games, the Yankees (28-30) beat the Los Angeles Angels of Anaheim, 6-3, at Yankee Stadium on Tuesday night. Michael Pineda also had his second consecutive solid start after allowing one run in 5.2 while striking out eight and walking none against the Tigers last week. The Yankees are now 6.5 games behind the Baltimore Orioles for first place in the American League East, two games behind the Toronto Blue Jays for third place in the division and four games out of the second wild card spot. They could be in worse shape in the division and the wild card based on the start they have had to their season. In Tuesday’s start against the Angels he allowed three runs in seven innings on one homer, two walks and four hits. Pineda, whose ERA was 6.92 on May 28, has lowered his ERA to 6.14 after his two consecutive solid starts where he has showed many signs of improvement. One positive sign is that Pineda had better velocity on Tuesday since he was able to throw 97mph. He did a good job rebounding from allowing three runs in the fifth – on an RBI single and then a two-run homer by Kole Calhoun – to not allow a run in the sixth or seventh. That’s progress for him because he has often not been able to pitch well again after allowing runs to score. Pineda said that working with Larry Rothschild has led to him lowering his arm angle to give him better movement on his slider. He has also been able to improve the movement on his cutter. The lower arm angle has led to more side-to-side movement on his slider. Pineda said that he made this adjustment before his start last week against the Tigers. This arm angle adjustment could help him stay consistent the rest of the season and not have many more starts where he allows five or more runs, which he has done five times this season. Offensively, the Yankees had 10 hits during the win over the Angels and Alex Rodriguez, Starlin Castro and Aaron Hicks all had two hits. Carlos Beltran got the scoring started in the first inning with his homer to left center that drove in Rob Refsnyder. He is in fifth place in the American League with his 15 homers and in 14th place in the league with his 38 RBIs, which are great stats for a 39-year-old. According the Rodriguez, he has been a lifesaver for the team and A-Rod didn’t want to think of where the team would be without the contributions of Beltran. Later in the first inning, Austin Romine, who has really improved at the plate this season, hit a single that scored Castro to make the score 3-0. He has a .290 average in 69 at-bats. In the second inning, Refsnyder hit a sacrifice fly to right to score Hicks to give the Yankees all the runs that they would need to beat the Angels. Refsnyder, who has been the starting first baseman the past few games with Mark Teixeira on the DL, only has three hits in his last 16 at-bats, but those three hits were all doubles and he has scored four runs and driven in three in that span. Then, in the third inning, Castro hit a solo homer off of the foul pole in right. That was Castro’s ninth homer of the season, which is the second most on the team. He has been one of the better performers on the team this season and the Yankees need him to continue to play well on offense and defense. Rodriguez’s single in the seventh scored the team’s seventh and final run. The 40-year-old designated hitter has 10 hits in 29 at-bats in June (.345), which is a significant improvement than how he was hitting earlier in the season. He has performed much better at the plate after being on the disabled list from May 4 until May 25. His average was .170 on May 31 and it is now all the way up to .214. It seems like his two weeks off and then his rehab assignment has helped him, and the offense is better with A-Rod hitting like he is right now. Beltran’s homer on Tuesday was his 1,000th extra-base hit of his likely Hall of Fame career. He is now the fourth switch hitter to reach that milestone, joining Eddie Murray, Chipper Jones and Pete Rose. The Yankees have two more games against the Angels before continuing their homestand against the Detroit Tigers. Nathan Eovaldi, who had pitched very well in his previous three starts, will look to bounce back from allowing five runs on June 3 against the Orioles. The Yankees won a come from behind 5-2 game on Monday night against the Angels (26-31) at Yankee Stadium as they did not have the lead until the bottom of the eighth inning. Carlos Beltran’s homer to right just over the wall drove in Jacoby Ellsbury and Brett Gardner to break the 2-2 tie from the seventh inning. That homer was Beltran’s team leading 14th of the season and he now also has a team leading 36 RBIs. His is leading the team in both categories by a wide margin as Starlin Castro and Brian McCann are tied for second with eight homers and Castro is second in RBIs with his 24. Beltran, who should be a DH instead of a right fielder at this point, has been performing very well at the plate since May of last year, and the Yankees would definitely be further under .500 than they are right now without the 39-year-old Beltran (27-30). McCann and Castro smashed back-to-back mammoth homers in the seventh inning to tie the score at two. McCann pulled a pitch from Matt Shoemaker to the suite level in the second deck in right field and Castro pulled a pitch from Shoemaker that went 413 feet to left field. McCann’s homer was a much needed one since before this game he had previously only had two hits in his last 29 at-bats. His previous hit during the loss to the Blue Jays on May 30 was also a homer. It was a rarely seen at-bat by McCann because he just missed a homer since the previous ball did not stay fair and then he hit the round tripper on the very next pitch. His average is all the way down to .222 and the Yankees need him pick up his production on offense. Masahiro Tanaka had another dominant performance to give the Yankees a chance to win the game. He pitched seven strong innings and only allowed two runs on six hits and two walks but got another no decision because the Yankees only scored two runs in the bottom of the seventh. Even though he has an ERA of 2.76, which is the eighth best in the American League, he only has three wins this season because he has eight no decisions. The Yankees have repeatedly not scored runs for Tanaka this season but he has been an elite pitcher this season. His 1.01 WHIP is the third lowest among starters in the AL this season and has been able to command his sinker, slider, splitter and cutter while not having to rely as much on his splitter. Tanaka has allowed a combined four earned runs in his last four starts, which has lowered his ERA from 3.51 to 2.76. He has remarkably allowed two earned runs or fewer in 10 of the 12 starts that he has made this season. Giving up too many walks can lead to trouble for a starting pitcher and Tanaka has eight starts this season with one or zero walks. Former Yankee David Huff will pitcher for the Angels in the second game of the series at Yankee Stadium. Michael Pineda will get the start for the Yankees, and he will be looking to have similar results as he had in his last start. He struck out eight and walked none while allowing one run against the Tigers last week. The Yankees beat the Los Angeles Angels on Friday night, 8-7, for their fourth consecutive win. The game ended up being a lot closer than it should have been since the Yankees were winning 8-1 going into the ninth inning. 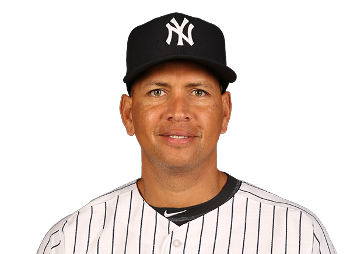 Alex Rodriguez passed Stan Musial to move into eighth place on the all-time runs list and his single to right in the fifth that drove in Brett Gardner moved him into sole possession of second place on the all-time RBIs list with 1,997. He passed Barry Bonds and now only trails Hank Aaron (2,297). Rodriguez also had his first four-hit game since he did so in 2011 against the Mets. It seemed like they would coast to a win after the offense scored eight runs and three pitchers had success in the first eight innings, but Esmil Rogers proved to be unreliable again. Rogers, who has a 6.39 ERA and a 1.61 WHIP, came into the game to start the ninth and allowed all five batters that he faced to reach base. He allowed a single, a double, a single between first and second that should have been caught, a walk and then a single to Kole Calhoun that drove in Taylor Featherston for the second run of the inning. Rogers said that he had trouble recovering from when Grant Green’s single that should have been caught landed between Jose Pirela and Chase Headley. Headley moved to first in the ninth because the Yankees had an 8-1 lead, and Mark Teixeria likely would have made the catch, but Rogers should have been able to put that play behind him. Dellin Betances came in with the bases loaded and allowed his first earned run of the year. He said that he started to think too much and appeared to get frustrated when he allowed a single to the first batter he faced. Betances, after having impeccable control since the second week of the season, walked the next two batters he faced. After Johnny Giavotella grounded into a fielder’s choice to score David Freese, Betances struck out Carlos Perez to end the game. After allowing his first earned run, Betances now has an ERA of 0.30. Nathan Eovaldi pitched very well in the first five innings as he held the Angels scoreless up until that point, but he lost his command in the sixth and couldn’t pitch as long as Joe Girardi would have liked. He walked the bases loaded while recording one out in the sixth, and Chasen Shreve bailed him out by only allowing one run to score. Eovaldi ended with a line of line of 5.1 innings, four hits and four strikeouts. He threw 53 of his 93 pitches for strikes, which caused him to not be able to pitch six innings. However, he got all of his strikeouts on the splitter, and it is a positive sign that he is relying more on that pitch. Eovaldi is now second on the team with his five wins. “I would have liked to have gone deeper into the game,” Eovaldi said. “Going into the sixth I felt fine. The walks killed me. Overall, I felt really good about the outing. I attacked the hitter well until the sixth.” He also added that the splitter adds a swing and miss pitch. Mark Teixeira and Stephen Drew were the two Yankees who drove in more than one run. 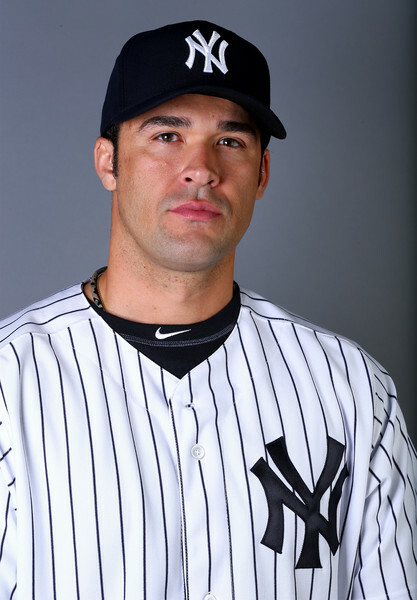 Teixeira, who is second in the AL with 17 homers, hit a homer in the third to drive in Brett Gardner. Drew, who is 5-14 (.357) in his last four games after previously going 0-17, hit a two-run homer in the second and a solo homer in the sixth. Drew, whose homer in the sixth was his seventh of the season, is now tied for the third most homers among second baseman in the AL. In the sixth inning, Didi Gregorius hit a sacrifice fly to score Brian McCann, and in the seventh inning, Chris Young hit a single to shallow right to score Rodriguez for what ended up being the winning run. Gregorius, who was 0-2 and drove in his first run in his last 10 games, has three multi-hit games in his last five games. Gregorius made an error in the second with a runner passing in front of him but redeemed himself in the ninth by making a game saving play by making a catch in the hole to get the runner out at second. The Yankees will look to extend their winning streak to five games with a win on Saturday night. Adam Warren will get the start and has allowed two runs or less in his previous three starts. The Yankees finished off their series against the Mariners on Wednesday afternoon with a 3-1 win, and that victory finished off a three-game sweep by the Yankees in Seattle. It was their first three-game winning streak on the road since beating the Red Sox from May 1 to May 3. Joe Girardi’s team has rebounded from their slump in the middle of May to win seven of their last 10 games. They have received dominating starts from Masahiro Tanaka, Nathan Eovaldi, CC Sabathia and two each Michael Pineda and Adam Warren. This hot streak comes after the Yankees lost 10 of their previous 11 games. During Wednesday’s win, Tanaka made his first start since April 23 as a result of being on the disabled list due to wrist and forearm issues. His line of seven innings, one earned run, nine strikeouts and only three hits was better than anyone could have expected. He was on a pitch limit of 80, and he was remarkably able to get through seven innings with 78 pitches. He allowed three hits and zero walks, which led to an outstanding 0.43 WHIP for the game. All three hits that Tanaka allowed came in the third inning, but after those three hits, he retired the final 13 batters that he faced. Tanaka was able to throw in the mid-90s many times in his first start back (with a high of 96), which proves that he has recovered from what put him on the disabled list. He had also not thrown in the mid-90s earlier this season. Tanaka had a solid 3.22 ERA in four starts before going on the disabled list, but his start on Wednesday brought his ERA down to an impressive 2.76 and his WHIP is now all the way down to 0.82. If he can continue throwing in the mid-90s it will make the rest of his pitches even more effective than they were when he was throwing in the low-90s. Two different homers gave the Yankees enough runs to get Tanaka his third win of the season. Mark Teixeira hit his 16th homer of the season in the second inning and then Garrett Jones hit a homer in the fourth inning that drove in Alex Rodriguez to give the Yankees a 3-1 lead. It was Jones’s third homer of the season and second in as many days. Jones will get the start in right field again tonight as Carlos Beltran will miss another game with a sore foot. He has really found his swing recently since in the last nine games he has appeared in, he has 10 hits in his last 22 at-bats (.455) with three homers, eight RBIs and five runs scored. His average was .150 on May 20 and it is now a very respectable .258. Teixeira is second in the American League in homers and first in the AL with his 41 RBIs. He should be able to easily surpass last season’s numbers as he finished with 22 homers and 62 RBIs in 123 games. After their off day on Thursday after flying cross country from Seattle, the Yankees will now start a three-game series against the Los Angeles Angels at Yankee Stadium. Pineda has had his previously scheduled for Saturday skipped because his innings are piling up. His next start will be on June 12 against the Baltimore Orioles.